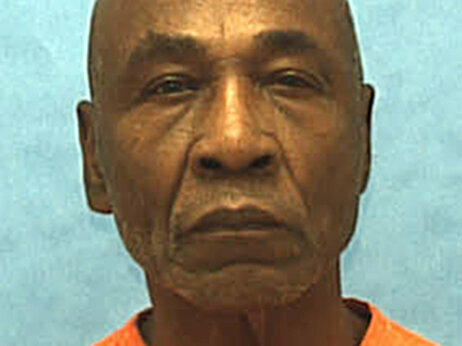 Florida death row inmate Freddie Lee Hall challenged the state’s use of an IQ cutoff to determine mental disability. The Supreme Court sided with him on Tuesday, saying Florida’s law doesn’t take standard errors of measurement into account. A Florida law that sets an IQ test score of 70 as a minimum in determining who’s eligible for the death penalty is unconstitutional, the Supreme Court says. In a reversal of a state court’s decision, the justices say Florida’s rule ignores norms in the psychiatric profession. The opinion also cites the Eighth Amendment, which bars cruel and unusual punishment. “Florida set a hard-line rule that the death penalty could not be imposed on convicted felons whose IQ is 70 or below,” NPR’s Washington desk says in its summary of the case. The plaintiff, Florida death row inmate Freddie Lee Hall, was found to have an IQ score of 71. Arguing before the court in March, his attorney noted that all such tests have a standard risk of error. The case centered on the question of whether absolute rules such as the one in Florida give enough protection that was established by an earlier case, Atkins v. Virginia. In that case, the justices said it was unconstitutional to execute people who are mentally disabled, but they left open the question of how to determine that condition. “The case before the court involves the brutal murder of Karol Hurst, who was 21 years old and seven months pregnant when she was kidnapped, raped and killed by Freddie Lee Hall and an accomplice. The Supreme Court decided the case by a 5-4 vote, with the minority including Justices Samuel Alito, Clarence Thomas and Antonin Scalia along with Chief Justice John Roberts. The decision in the case was announced Tuesday along with a ruling in another high-profile case, regarding the Secret Service’s treatment of pro- and anti-Bush demonstrators during President George W. Bush’s term in the White House. Nina will have a follow-up report about the court’s decisions later today on All Things Considered.